At least half a million people packed the streets around the Capitol in Washington, D.C., for the Women's March on Saturday. One person not in attendance? Counselor to the president Kellyanne Conway. "I frankly didn't see the point. ... You have folks being here on a diatribe where I think they could have requested a dialogue," Conway said on ABC's "This Week." Protesters march down Pennsylvania avenue during the Women's March on Washington January 21, 2017 in Washington, DC. The march is expected to draw thousands from across the country to protest newly inaugurated President Donald Trump. Protesters flood 14th Street during the Women's March on Washington January 21, 2017 in Washington, DC. Large crowds are attending the anti-Trump rally a day after U.S. President Donald Trump was sworn in as the 45th U.S. president. U.S. Senator Elizabeth Warren, a Democrat from Massachusetts, center left, and Boston Mayor Martin Walsh hold a banner while marching down Commonwealth Avenue during the Boston Women's March in Boston, Massachusetts, U.S., on Saturday, Jan. 21, 2017. Hundreds of demonstrations around the world are planned in conjunction with the Women's March on Washington, which is expected to be the largest inauguration-related demonstration in United States history. Demonstrators attend the rally at the Women's March on Washington on January 21, 2017 in Washington, DC. Demonstrators gather during the Women's March of Los Angeles in Los Angeles, California, U.S., on Saturday, Jan. 21, 2017. Hundreds of demonstrations around the world are planned in conjunction with the Women's March on Washington, which is expected to be the largest inauguration-related demonstration in United States history. Marchers fill Hill Street during the Women's March on January 21, 2017 in Los Angeles, California. Tens of thousands of people took to the streets of Downtown Los Angeles for the Women's March in protest after the inauguration of President Donald Trump. Women's Marches are being held in cities around the world. Demonstrators hold signs during the Women's March of Los Angeles in Los Angeles, California, U.S., on Saturday, Jan. 21, 2017. Hundreds of demonstrations around the world are planned in conjunction with the Women's March on Washington, which is expected to be the largest inauguration-related demonstration in United States history. Peaceful protesters demonstrate during the Women's March On Washington on January 21, 2017 in Washington, DC. Marchers during the Women's March on Main Street Park City on January 21, 2017 in Park City, Utah. Protesters participate in the Women's March on January 21, 2017 in Chicago, Illinois. Thousands of demonstrators took to the streets in protest after the inauguration of President Donald Trump. Along with the march in D.C., millions of people around the world joined together in solidarity to promote women's rights. Conway also called out Madonna, who gave a fiery profanity-laced speech at the D.C. march, saying she'd "thought about blowing up the White House." The singer later clarified that statement on Instagram, writing, "I spoke in metaphor and I shared two ways of looking at things — one was to be hopeful, and one was to feel anger and outrage, which I have personally felt." On Sunday, President Donald Trump questioned why the people at the march hadn't voted in the November election. He later appeared to have a change of heart about the protest, tweeting, "Even if I don't always agree, I recognize the rights of people to express their views." The gender gap was pretty significant in the election. Overall, more women voted for Hillary Clinton — 54 percent voted for her, while 42 percent voted for Trump. But those numbers look different among white women: 53 percent of white women voted for Trump, while only 43 percent cast their ballots for Clinton. "Their candidate, Hillary Clinton, lost. Twenty-nine to 30 million women voted for Donald Trump. Their voices are heard, as well. 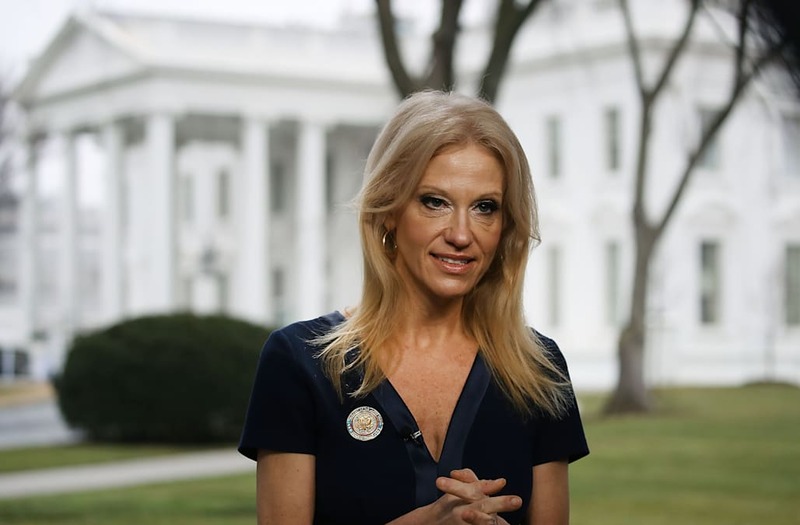 They should be respected," Conway told ABC.